Yesterday I got to spend time with my lovely friends at one of their birthday BBQs, and I was desperate to wear my new tee that I'd bought a while ago in the In The Style sale online. 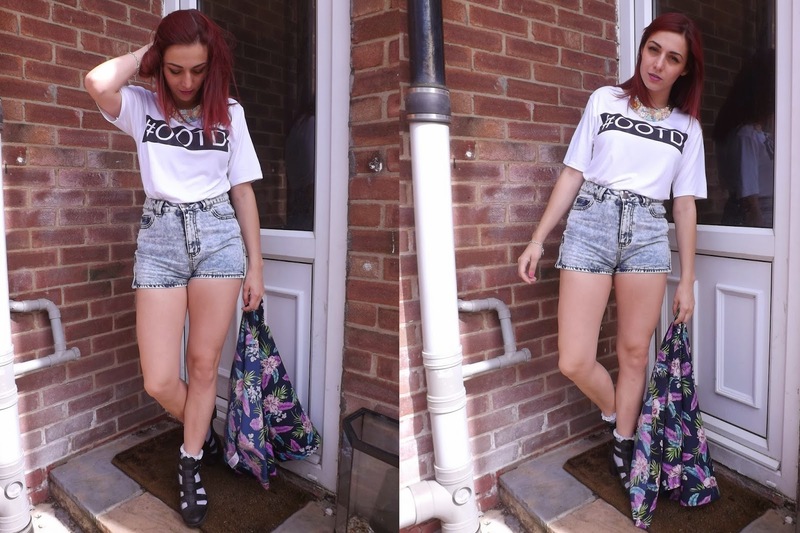 I saw this tee on Jess's blog Copper Gardens and I just love the way she styled it so simply! She made it look so good with the white jeans and just needed the tee for myself. The common blogger related hashtag won me over! *insert monkey covering eyes emoji* I was so happy to see that they had it in white as well as black, since I'm more of a white graphic tee girl anyways, so I bought it! It's sooooo soft too - probably the most comfy tee ever!